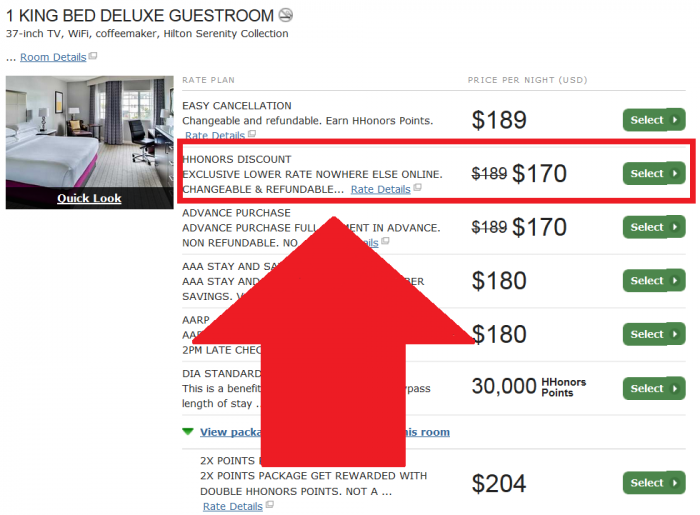 Hilton HHonors has started to battle OTAs and is following IHG and Le Club AccorHotels that have both already launched member only discounts. You can for now find member only discounts at select hotels in New York, Miami, Houston and San Diego. The program will expand to other markets. You can access Hilton’s website here. Many of the OTAs now advertise member only prices that are only shown once you are logged in. The reason for this is that they are not considered public rates IF they require you to sign in. Now, many of the hotel companies are offering “member only” rates. IHG and Accor started this and now Hilton is following them. Hotel companies and OTAs have agreements in place that they do not undercut each others prices. This obviously doesn’t apply when you offer discounts to your “members” that merely requires you to sign up.